Welcome to the Computational Nanoscience Laboratory in the School of Mechanical and Materials Engineering. 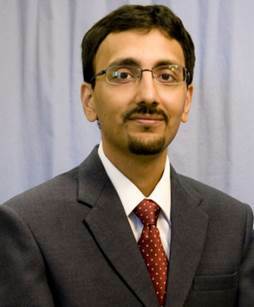 This group is led by Soumik Banerjee, who is an Associate Professor at WSU. CNL focuses on modeling materials relevant to energy conversion and storage. 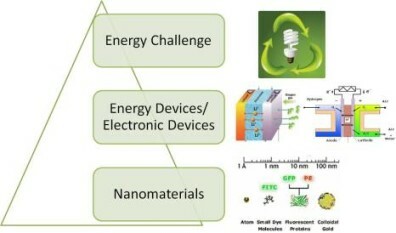 In particular, we perform atomistic, molecular and mesoscale simulations to investigate energy conversion, transport and storage mechanisms in a range of materials including carbon nanotubes, organic crystals, fullerenes, and conjugated polymers. CNL is particularly involved in modeling chemical kinetics at interfaces, thermal and charge transport phenomena and growth and agglomeration of nanomaterials. The poster describes CNL’s ongoing efforts in modeling …..
Taufique and Aniruddha, graduate students at CNL, will present their work on perovskite solar cells and Na-ion batteries in the MRS Spring Meeting to be held in Phoenix this April. Congratulations to Aniruddha for winning the travel grant from Alaska Airlines! Dr. Soumik Banerjee will give a talk on modeling electrolytes and electrode-electrolyte interfaces of lithium batteries…..
Dr. Soumik Banerjee has been invited to present his work on modeling electrolytes and electrode-electrolyte interfaces of lithium batteries…….